Centro-matic’s new joint, Operation Motorcide, (Houston Party Records) is an EP culled from Fort Recovery’s leftovers. Leftovers only in the sense that Fort Recovery was originally conceived as a two disc album before being pared down to the final 2006 version (with three additional tracks on the non-domestic issue). * Ended up on Operation Motorcide e.p. Chick Habit on the sountrack??!!! Come on….the best!! 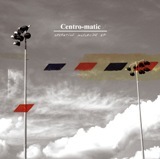 The EP is better than Fort Recovery (from a big Centro-Matic fan)….check it out….